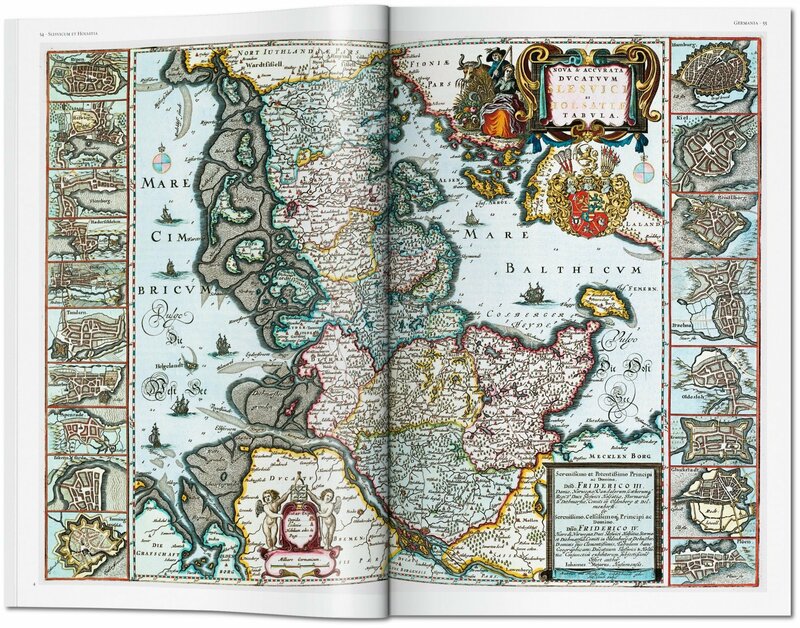 Celebrate the original beauty and craft of cartography. 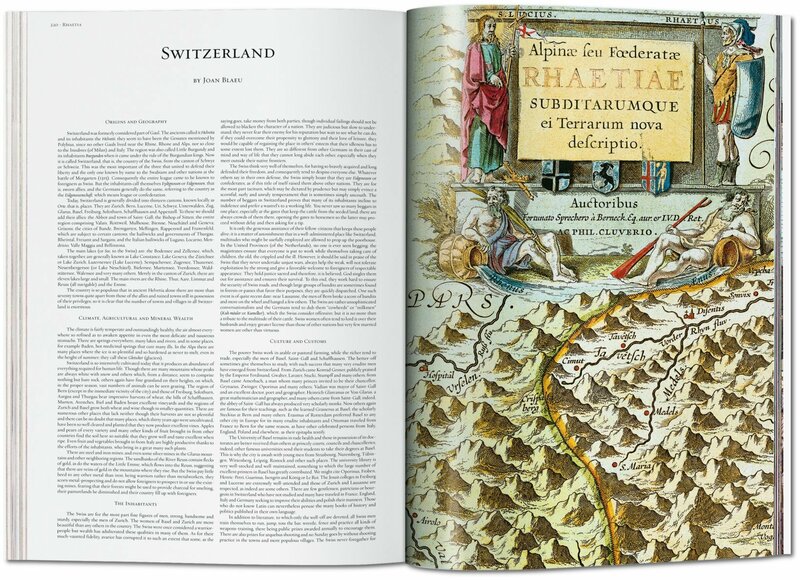 This meticulous reprint gathers the most beautiful maps of Germany, Austria, and Switzerland from Joan Blaeu's Baroque masterwork Atlas Maior, which stood for more than 100 years asthe definitive record of the world. 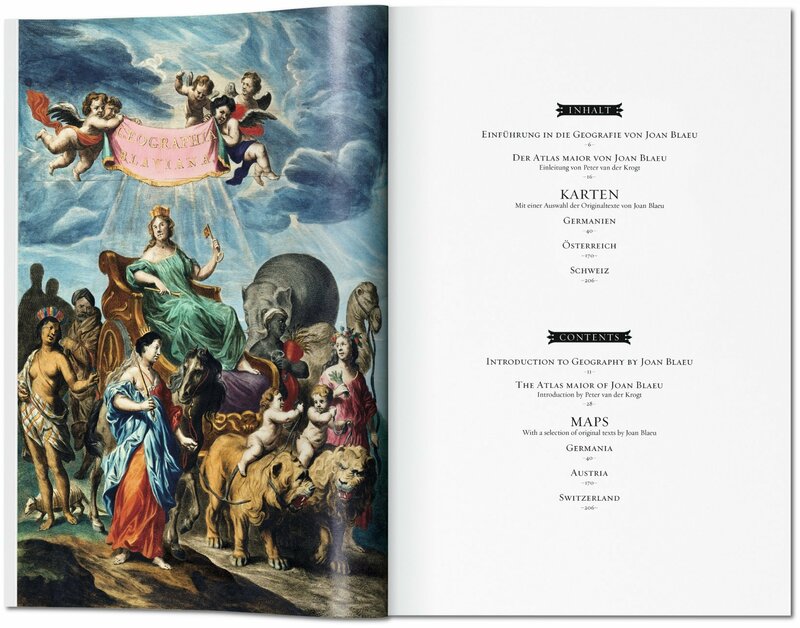 The Atlas Maior is the cartographical masterpiece of the Baroque period and the largest and most expensive book published during the 17th century. Originally published in Latin, it featured 594 maps over 11 volumes, released between 1662 and 1665 by publisher Joan Blaeu, one of Holland’s leading cartographers. 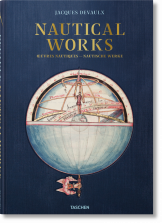 For more than 100 years the exhaustive atlas of the world, it is today among the most sought-after and valuable antiquarian rarities. 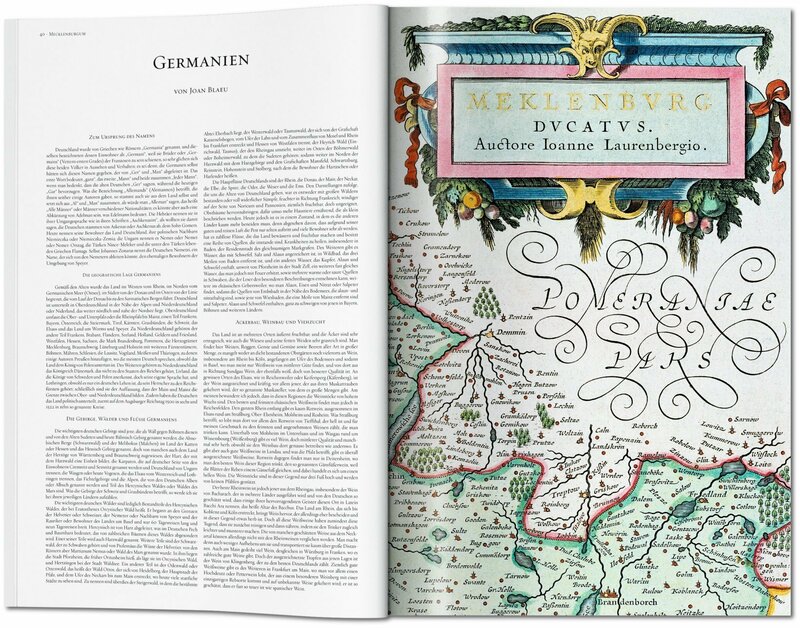 Now, you can wonder at Blaeu’s masterwork yourself, with TASCHEN’s meticulous reprint of a selection of the most impressive maps covering Germany, Austria, and Switzerland. 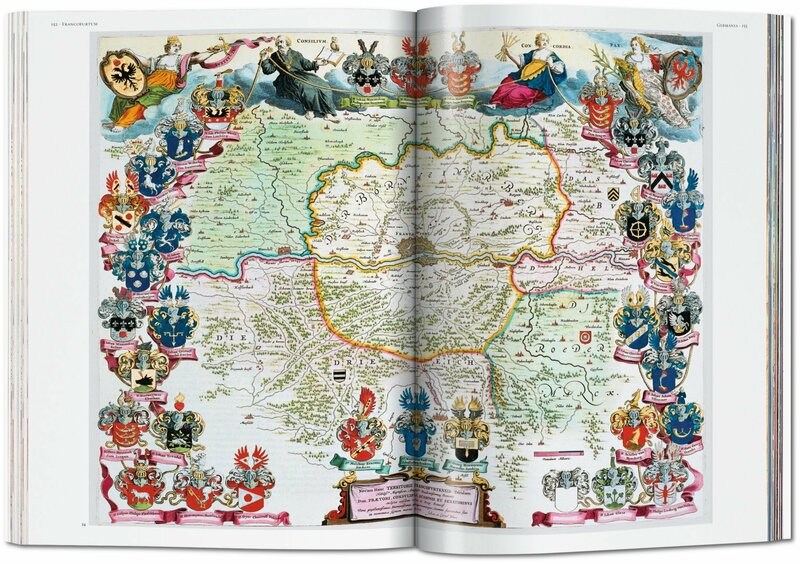 Based on the hand-colored and gold-heightened copy of the Atlas Maior in the Österreichische Nationalbibliothek in Vienna, it ensures the highest detail and quality, revealing the precision and decoration that made these maps both a definitive record and a visual pleasure. 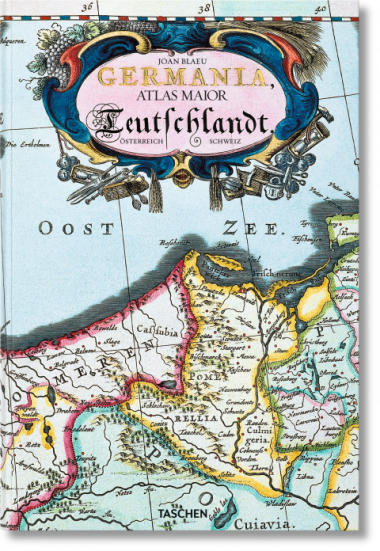 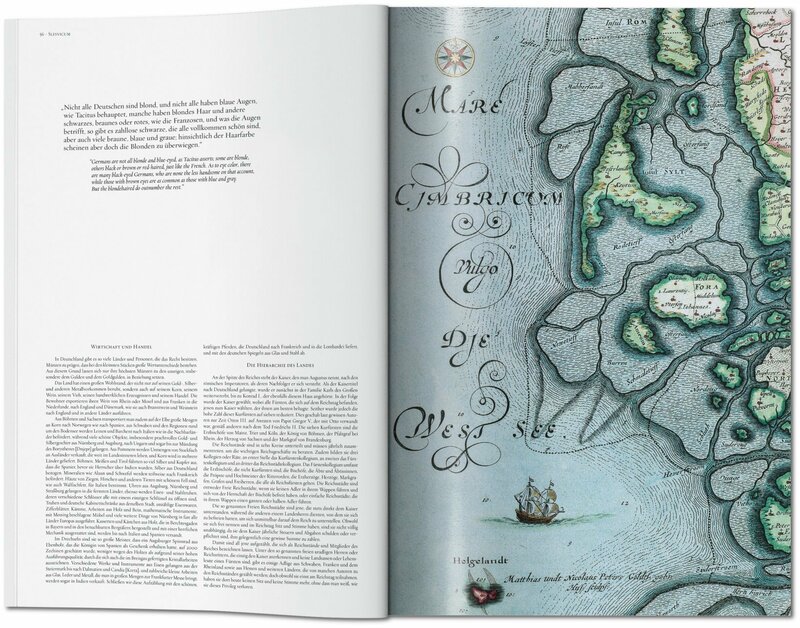 Alongside Joan Blaeu’s original introduction and his commentaries on the individual maps, a modern text by Peter van der Krogt explains the historical and cultural context of the Atlas Maior and its landmark position in early modern cartography.